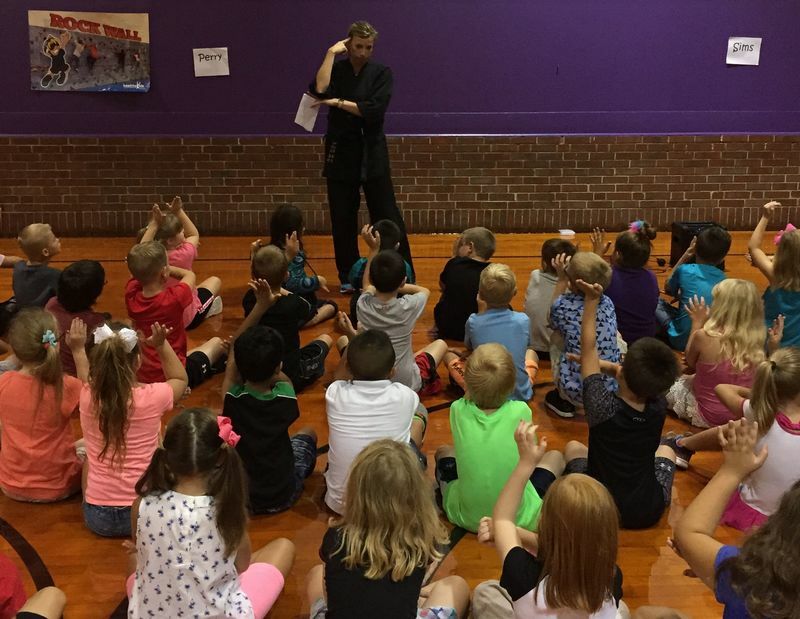 Main Street Elementary School & Kindergarten Center will focus on a CHARACTER TRAIT Monthly. To kick-off this Trait, a special guest has been invited to address the students. The objective is to define the trait, pass on "wisdom" & maybe tell an anecdote about their development w/ a mistake or success, & empower the students to adopt the trait w/ value personally & appreciation for peers that embody the trait. We want students to recognize it in others & be self-aware. Marisa Pearcy is a Shelbyville Alumni as well as a community member & local business owner. She has children in the district & is invested in the school & community. She agreed to present to the Main Street & Kindergarten students on Monday, August 21st w/ a grade level rotation. She did a fantastic job; I heard students & teachers referencing her message in informal discussions. 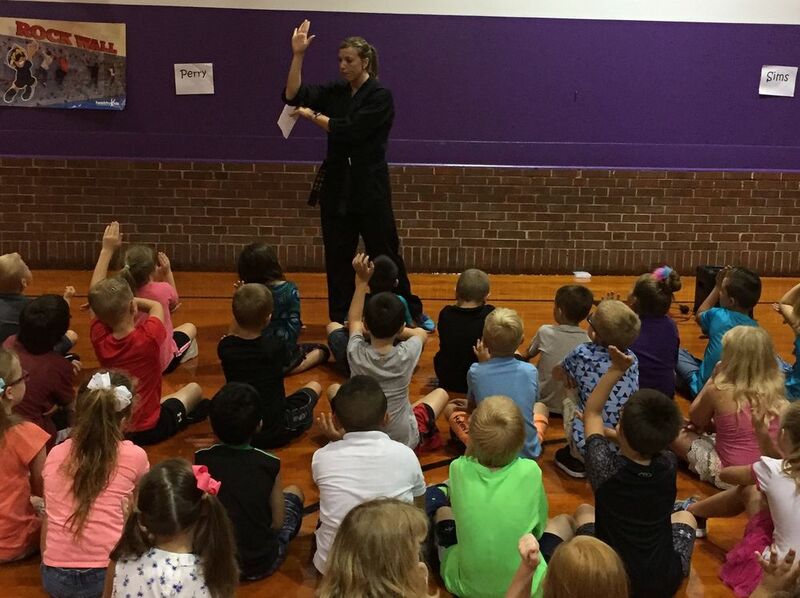 The students were active and very attentive w/ her energy and interesting background as a Tae Kwon Do instructor. The students participated in her discussion and she modeled typical scenarios for youth to practice their developing self-control skills. This was a great experience & we really appreciate her time & positive influence. The teachers will regularly recognize students as opportunity arises & work this Theme & Symbolism into literature and writing curriculum. The entire school is a TEAM w/ this focus. The aides are aware & the special teachers (Art / Music / PE) are reinforcing as well. The plan is to create an avenue for peer recognition. We want to EMPOWER , RECOGNIZE, & CELEBRATE these positive traits for future leaders that have the skills & intrinsic motivation to be anything they want to be. No student will be more prepared for LIFE than our students! GOAL: Students to know we NOTICE & APPRECIATE their BEHAVIOR & WORK ETHIC w/out turning it into a “Commercial Transaction" so students do it for the SATISFACTION in the ACT itself & the inner PRIDE & not for a constant "CARROT," Extrinsic Reward.